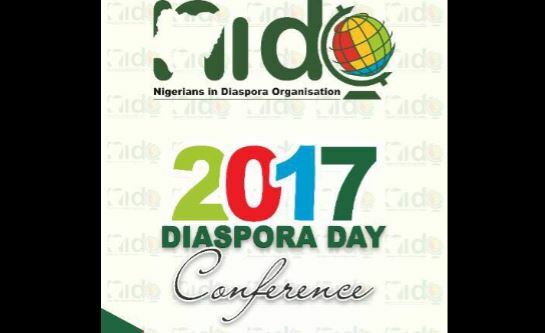 In my tenure as Chief Executive of the European arm of Nigeria’s official Diaspora body, Nigerians in Diaspora Organisation (NIDO) from 2004 – 2006 and serving in its Board of Trustees as General Secretary between 2007 and 2009 and Board Chairman from 2011 to 2013, two main activities took centre-stage in my work. These were the agitation for the realization of the Diaspora Commission Bill and making the case for Out-of-Country voting for Nigerians in Diaspora. With the Diaspora Commission now a reality, I am sure you can hear me think: one down, one to go! As with all policy work, my office quickly identified the strategic partners needed to set the ball rolling on Out-of-Country Voting or Diaspora Voting and Diaspora Bill. A Bill is essentially a legislative matter. It was no brainer therefore that our natural ally for the Diaspora Commission Bill would be the National Assembly, particularly the House of Representatives. The 2005 National Political Reforms Conference offered no better platform to launch our case for Diaspora Voting. Our Delegates to the national parley wasted no time in taking up the case for Diaspora Voting resting on the preparatory work and initial research provided by the Headquarter of NIDO Europe under my leadership as Chief Executive. By 2009 the building blocks or legislative framework for the Diaspora Commission Bill were in place. In tandem we had commenced initial work on a national policy on Diaspora affairs and after meeting several brick walls in its realization, we thought it makes all the sense in the world to choose our fights carefully. From 2 February 2010 when a public hearing was held in the National Assembly, ably coordinated and hosted by the House Committee on Diaspora Affairs to 30 June 2017 when the Presidency assented to the Bill, a lot of water had passed under the bridge. The Diaspora Commission Bill is, and rightfully so, the bride of the moment. Accordingly I am impatient to share some reflections and perhaps some anecdotes on the Bill. Before I do, let me briefly justify my position. We had tried to take on the Bill, Diaspora Policy and Diaspora Voting in addition to numerous other knotty national development issues. These are perfectly doable items to simultaneously take on though sometimes, it does feel like we have bitten more than we could chew. When we met numerous brick walls, we naturally put up the brave face and tinkered on but we seemed to be failing in all fronts. Re-strategizing, it made sense to prioritize, the outcome of which was the decision to channel more energy, if not most of the energies, to Diaspora Bill. Here was the reasoning: the Diaspora Commission will be an omissible anchor of all matters Diaspora. Do we have a perfect Bill? Certainly not! But perhaps a perfect Bill does not exist. Most important thing today is that we have a Bill, one that took into consideration certain anomalies that the Diaspora pinpointed from the onset. Looking at the Bill as assented to by the Presidency and the initial draft presented by the House Committee on Diaspora Affairs, on which early debates were based, there are huge similarities. Ironical isn’t it? Not really. It tells us a few things. Firstly, the House Committee leadership knew what a sound Diaspora Commission Bill ought to look like and initially delivered one. Secondly it exposes the vulnerability of the same House Committee leadership to undue influence by powerful Diaspora lobby. One clear evidence of this is: the initial draft Establishment Bill as put forth by the House Committee on Diaspora recognized the place of Nigerians in Diaspora Organisation (NIDO) in providing policy coherence in the Diaspora for the work of the proposed Commission. The pre-NIDO era lacked coherence. It was characterized by thousands of community, professional, religious, ethnic and cultural organisations of Nigerians in Diaspora, fighting, like children in a disjointed polygamous family, to dominate the space. As can be expected, the law of the jungle applied. This is because NIDO stands on its way in exerting undue control over Diaspora affairs. The other issue, closely complimentary to this is the disproportionate representation of Nigerian Diaspora on the Governing Board of the Commission. The Diaspora disagreed on quite a lot but an issue that organized Diaspora worldwide saw eye-to-eye on as the enemy to fight to a standstill was the buildup of powerful lobby in the Diaspora and returnee Diaspora, largely undermining the draft Establishment Bill and skillfully manipulating its seemingly naïve authors. Its purpose? To kill NIDO. Thirdly, it revealed that NIDO leadership has the ability and the gusto to take on its own fight and defend the interest of its constituency despite the perceived disarray of its rank and file. Despite the powerful lobby NIDO succeeded in bringing back its status as the lead Diaspora partner in the implementation of the Diaspora Commission and equal representation of the Diaspora on the Governing Board. A lean or an obese Diaspora Commission? Going forward, the Diaspora Commission is not a done deal. Indeed the assent of the Presidency to the Bill marks the beginning of the real work. The devil is in the details, as they say. One of such details which should be acknowledged is the correction of a few obvious details that were wrong in the amended draft. Number one is the recognition and representation of NIDO Africa in the Bill and ultimately in the Commission. Secondly and related to that is the correction of the anomaly of having only 3 Diaspora representatives in a Governing Board of 17 members. With NIDO Africa recognised and the Americas broken down in North & South as well as Asia and Oceania, being independently caved out, NIDO representation was doubled to six. Though I believe that the full interests and broad perspectives of the Diaspora will be credibly served by an arrangement where some 8 out of the 17 Board seats are occupied by the Diaspora, 6 seats is a reasonable compromise. That said, a look at the proposed staffing of the Commission will convince management experts that Nigeria needs a Master Class on Lean Management Concept. I am not sure that a Commission needs staff strength of 141 employees. This certainly needs a review prior to commencement of operations as wastefulness both in manpower and financially must be a thing of the past. Talking of financials, a lean structure will also mean that the total projected cost for first year of operation of the Commission estimated at nearly NGN 660 Million could be reduced significantly. The 17 Governing Board members are meant to be paid salaries on part-time basis. Nigeria could try a model of sitting allowance whereby the proposed part-time salary arrangement is replaced with payment on the basis of the actual work that you do in terms of Board sittings. If you do not show up for Board meetings, you do not get paid. Strategic, purposeful leadership is key to success. The Chief Executive of the Diaspora Commission has an obligation to deliver and he or she can be rest assured that the Diaspora will not have the business as usual mentality. We are aware that what we may term as good practices in the parts of the world where the Diaspora lives and work, may not necessarily be applicable in the Nigerian context but a core part of it would work if adapted to the Nigerian idiosyncrasies. That the head of a Commission anywhere in the world works out a First Year Strategic Plan gleaned from the Establishment Act, infused with the conclusions of a basic needs analysis has nothing to do with Nigeria, Japan or Britain but has all to do with purposeful leadership and sound management. There are signs that if the Diaspora could succeed in sending the emerging Diaspora oligarchs on retreat in terms of stopping them from hijacking the Diaspora Commission through an Establishment Bill tilted in their favour, I am certain that the required scrutiny will be brought to bear on whoever emerges head of the Commission (Chairman & Director-General) as well as the Board. I guess the clear message is, if you do not plan to deliver on the Diaspora Commission mandate, better reconsider your candidacy for the Governing Board because the Diaspora is willing and supremely capable of taking you to task. *Collins Nweke is Founder / CEO of Global Village Consult Belgium, brand owners of Nigeria Human Capital. He had served variously as Chief Executive, General Secretary and Board Chairman between 2004 and 2013 of the Board of Nigerians in Diaspora Organisation Europe. Collins is a Municipal Legislator at Ostend City Council Belgium where he is serving a second term as elected Councillor. He writes from Brussels.